On July 26, 2018, about 1650 eastern daylight time, the private pilot of a Cessna 182P, N1311S, was fatally injured when he was struck by the propeller during a preflight inspection of the airplane at the Cleveland Regional Jetport (RZR), Cleveland, Tennessee. The airplane, which was not damaged was owned by NCFL Ltd., and privately operated under the provisions of Title 14 Code of Federal Regulations Part 91. Visual meteorological conditions prevailed for the intended personal flight to Blairsville Airport (DZJ), Blairsville, Georgia. The pilot's wife reported to Federal Aviation Administration personnel that they had flown to RZR earlier that day, and her husband performed a normal shutdown of the engine utilizing the mixture control. They performed errands then returned to the airport. She reported to law enforcement that she was outside the airplane behind the passenger door facing her seat, and her husband was performing a preflight inspection of the airplane. She heard the "propeller move" which she described as unusual and heard the engine like it was starting or trying to start. She looked up and noticed her husband fall to the ground. She thought the propeller stopped at that time, and went inside the fixed-base-operator to summon help. She also indicated that the ignition key was in her husband's pocket at the time of the accident. The airplane's ignition switch and key were retained for operational testing. 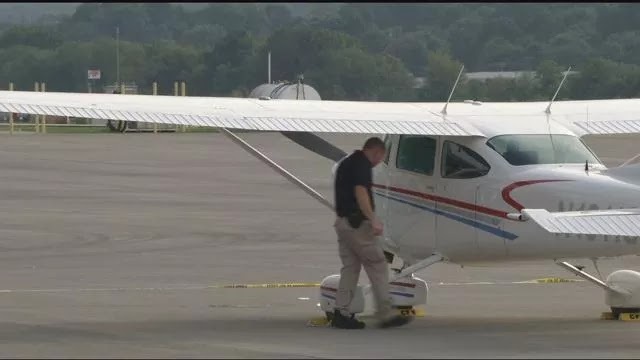 BRADLEY COUNTY, TN (WRCB) - UPDATE: Cleveland police say a Florida man who was struck by an airplane propeller at the Cleveland airport Thursday evening has passed away. Authorities say 69-year-old Lenny Kramer was flown to Erlanger where he died from his injuries. 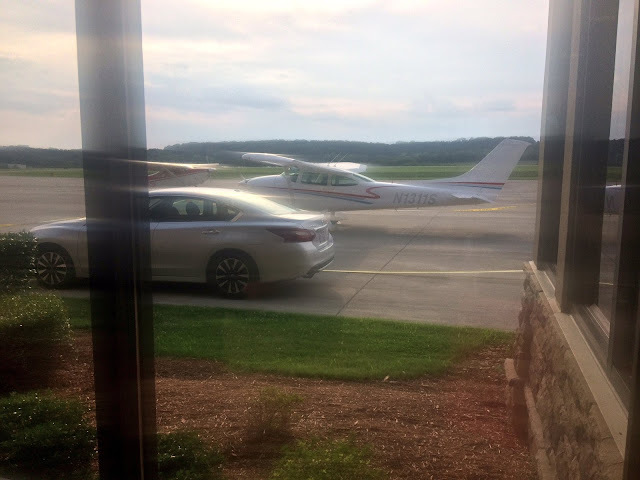 A Florida couple was using a Cessna 182 aircraft at the Cleveland Regional Jetport. The plane was grounded and running when Kramer was hit in the head by the plane's spinning propeller. “It was a private plane. I'm not sure if this was the victims’ plane or if it was rented,” said West.“We have to work with the FAA. The response was fast because the Life Force helicopter is based at the airport. Sergeant Evie West says everyone is working together to figure out how the propeller hit the man. "We have to be very careful. Since this is an open investigation, we can't give details,” said West. The airport is not closed, and the plane involved is secure. “The ramp is open. I think they will be conducting normal operating procedures,” said West. The plane will be examined during an investigation. The FAA and NTSB were notified by the Cleveland Police Department. The FAA will be on the scene Friday morning to determine if it will take over the investigation. PREVIOUS STORY: Cleveland police say a Florida man who was hit by plane propeller at the Cleveland airport Thursday evening has passed away. It happened around 4:50 p.m. at Cleveland Regional Jetport on Dry Valley Road NE. Police tell Channel 3, 69-year-old Lenny Kramer's head was hit by a propeller. He was found near his private plane with a severe head injury. Kramer was flown from the scene to Erlanger. Cleveland Police spokeswoman Evie West says Kramer passed away from his injuries. Police say they are trying to figure out how this happened. The Federal Aviation Administration (FAA) and National Transportation Safety Board (NTSB) are expected to begin an investigation on Friday morning. 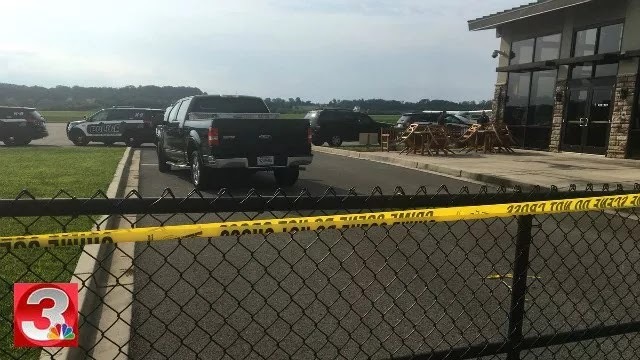 CLEVELAND, Tenn. (WDEF) – A Florida man dies after getting hit by a propeller at the Cleveland Regional Jetport. According to Cleveland Police, the man and his wife were at the airport, when somehow, the man was hit by the propeller. 69-year old Lenny Kramer suffered severe head injuries. LifeForce took him to Erlanger Medical Center in Chattanooga, where he died from his injuries. The Federal Aviation Administration, and the National Transportation Safety Board will investigate the accident on Friday. On Thursday, July 26, 2017, at 4:50 p.m. Cleveland Police Department Officers responded to the Cleveland Regional Jetport, 251 Dry Valley Road NE, on an incident involving an individual injured by an airplane propeller. Lenny Kramer, DOB 07/28/48, age 69, from Florida, was found near his private plane with a severe head injury. Kramer was transported by Life Force to Erlanger Hospital, where he later succumbed to his injuries. Cleveland investigators notified the FAA and NTSB as part of the ongoing investigation.